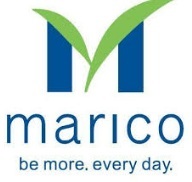 Marico Hiring Freshers Trainee,Marico Freshers Trainee,Freshers Trainee Opening in Marico,Marico Freshers Trainee Engineer,Marico IT Associate,Marico walk in interview Drive, Marico Recruitment, Placement And Opening In Kolkata Jobs,Hydrabad Jobs,IT Jobs,Bangalore Jobs,Pune Jobs,Chennai jobs,Delhi Jobs,Gurgaon Jobs,Noida Jobs in India. About Company : Marico Limited is one of India's leading consumer products companies operating in the beauty and wellness space. Empowered with freedom and opportunity, we work to make a difference to the lives of all our stakeholders - members, associates, consumers, investors and the society at large. Currently present in 25 countries across emerging markets of Asia and Africa, Marico has nurtured multiple brands in the categories of hair care, skin care, edible oils, health foods, male grooming, and fabric care. Marico's India business markets household brands such as Parachute, Parachute Advansed, Saffola, Hair & Care, Nihar, Nihar Naturals, Livon, Set Wet, Mediker and Revive among others that add value to the life of 1 in every 3 Indians. The International business offers unique brands such as Parachute, HairCode, Fiancée, Caivil, Hercules, Black Chic, Code 10, Ingwe, X-Men and Thuan Phat that are localized to fulfil the lifestyle needs of our international consumers. Charting an annual turnover of Rs. 61 billion (Financial Year 2015 - 2016) across our portfolio, Marico's sustainable growth story rests on an empowering work culture that encourages our members to take complete ownership and make a difference to the entire business ecosystem.